Montgomery County's Leading Interior Designer | 2x Best of Houzz! Beth Simon is a top-rated Interior Designer. She is great at blending people's tastes, budgets and lifestyles in order to create a comfortable and functional living space. New Vision has been serving Washington DC since 2009. We are passionate about working with you to create the home of your dreams; whatever your style or investment-the design process is all about you! Montgomery County's Preferred Interior Designer 4x Best of Houzz! From paint color selection to full home renovation, we can embellish your space respecting your budget, needs, and taste with style! Details Interiors is a full service interior design company founded in 1998 by design veteran Barbara Replogle. Her eye for detail in the design development and attention to detail in servicing her clients has led to many a beautiful home and satisfied client. Whether it's transitional or traditional design motifs, Barbara works closely with clients to discern their needs and tastes, and then produce extraordinary designs that are not only beautiful to look at but comfortable, warm and inviting. Utilizing resources from all over the world, Barbara is adept at finding the right piece of art of accessory. And her creative use of space makes results in well-designed, functional and beautiful environments. Barbara prides herself on discovering new resources on an ongoing basis so she is always able to bring fresh and different ideas to the table. She visits numerous trade shows and design centers to sit on furniture, run her fingers along finishes and fabrics, walk barefoot on rugs and view in person the beautiful details of art and accessories often undetectable on the printed page. Details Interiors has compiled a full portfolio of work ranging from single room renovations to entire home design plans. Barbara has also enjoyed working with clients during the new home building process. Using her services at the very beginning stages of the building process can be critical in achieving a cohesive design for the home. With an eye to every detail, she will help with flooring, granite, tile, lighting, cabinetry and hardware selections making sure all of the elements work together. The work of a professional can make all the difference. Whether your home has 10 bedrooms, or your apartment is 800 square feet, it can be tricky to create a cohesive look that is representative of your style. That's where a local Poolesville interior designer comes in. A home decorator will help distill your tastes and ideas into a design that suits the needs of your space. Whether you need help creating a functional space plan, rearranging existing pieces, designing the inside of a new home, or simply sourcing amazing furniture and decor, seeking the help of professional interior designers and decorators in Poolesville, MD is a must. A good home design professional will hone your style down to its very essence and be able to choose a functional layout that feels natural to you. Interior design companies can be involved as much or as little as the client desires. Many clients who hire an interior decorator in Poolesville, MD — particularly those who are remodeling — have a good sense of how the room should look and what products they should use. Often clients will insist that interior decorators use the products already present in the house. Other times a designer will need to start from scratch — especially if this is a newly purchased or just-built home. An interior design company will need to figure out exactly what the client needs, which includes organizing rooms, picking flooring and wall colors, and finding furniture to complement it all. Sometimes that means he or she will have to recruit help from other Poolesville, MD home professionals to help create the perfect look for your renovation. Here are some related professionals and vendors to complement the work of interior designers & decorators: Architects & Building Designers, General Contractors, Home Builders, Design-Build Firms, Photographers. Do your research before meeting with an interior designer or home decorator in Poolesville, MD. Ask yourself what you want your space to become and what it will be used for. Figure out the extent of what you need help with, what your must-haves are and what your budget is. Interior design services can add up fast, so be up front with a potential design firm or individual from the beginning. Also, pick an interior decorator that fits your style. Browse through the portfolios of different Poolesville interior design firms and decide if you would live in those houses. Just because you like something doesn’t mean you could live in it. There's a big difference! Find an interior designer or home decorator in Poolesville, MD on Houzz. 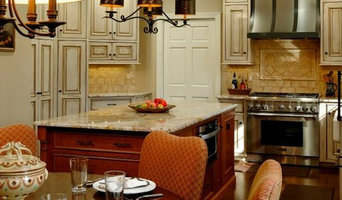 Narrow your search in the Professionals section to find Poolesville interior designers near you. 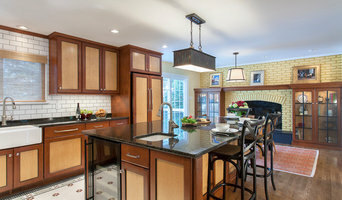 You can also look through Poolesville, MD photos to find a room you like, then contact the design firm who designed it.